The tendon is the part of a muscle that attaches muscle to bone. Ligaments attach bone to bone. Tendionpathy = Tendonitis + Tendinosis. Tendon injury is called tendinopathy because it acknowledges the current understanding that these injuries exists on a continuum between inflammation and degenerative non-inflammatory tendon changes. We have moved away from the word tendonitis because inflammation is not the main cause. The tendons are not red, hot and swollen . While inflammation appears to be part of most tendinopathies in terms of its progression and promoting certain tissue changes, the core pathological changes lean towards the non-inflammatory end of the continuum. What Is Happening In the Tendon? Cells, Fibres, Nerves and Blood Vessels Man! 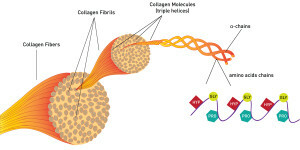 With tendinopathy the once nicely, parallel organization of dense and strong collagen fibres, becomes tangled, poorly organized like a ball or yarn, and less able to withstand stress. New tendon cells begin to form and produce massive amounts of disorganized collagen actually producing thickening visible on MRI and ultrasound. There is an increase in the water content of the tendon with more ground substance and non-tensile proteins. Inflammatory cells and chemicals have been found in minute amounts and seem to help to perpetuate these conditions, produce the new growth of nerves, blood vessels and cells, and potentially cause pain. The growth of blood vessels and nerves into the tendon is what is believed to be the primary cause of pain with tendinopathy. These changes in the structure of the tendon that make it more sensitive to pain (nerves) promote the chronicity of this conditions and make them a challenge to treat. Why Do Tendons Get Injured? It is suspected that in response to this overload on the tendon, the body undergoes a failed healing response that results in the aforementioned pathological changes. In some cases, it is believed that under-loading of the tendon, called stress-shielding, results in reactive inflammation, weakening and subsequent injury. In these cases, parts of the tendon, often close to the bone, do not experience tensile force or even compressed. This causes the tendons to swell, enlarge and undergo the aforementioned pathological changes that are visibly the same on MRI and US are those exposed to too much force. stoping the tendinopathy for expediting your care and stop the problem from returning. In most cases, weakness in other muscles around a joint, can result in compensation, directing too much force through a particular muscle. 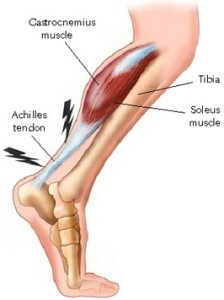 Over time, a failure of other muscles to help can result in overload of the tendon and subsequent injury. In the case of tennis elbow, a tendinopathy of the common extensor tendon, a combination of improper lifting, weakness of the forearm muscles and even poor stabilization at the shoulder blade and shoulder, can overload the tendon yielding an injury. Until all these issues are corrected, this condition will often be perpetuated. If you need help with a chronic tendon injury, would like to book a free consultation or have any questions, please leave an inquiry for Dr. Ritza here. Cook, J. L., and Craig R. Purdam. “Is tendon pathology a continuum? A pathology model to explain the clinical presentation of load-induced tendinopathy.” British journal of sports medicine 43.6 (2009): 409-416. Rees, Jonathan D., Matthew Stride, and Alex Scott. “Tendons–time to revisit inflammation.” British journal of sports medicine (2013): bjsports-2012.